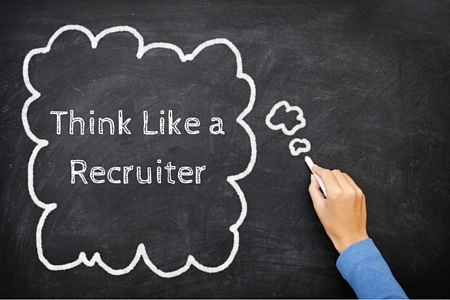 Let’s face it we all know recruiting can be challenging. You need all the help and resources you can get. That’s why I put together this list of free resources to find free resumes online. Enjoy and feel free to mention any others you use! 1) PostJobFree: A very underrated resource in my opinion! This 8 year job board gets about 500,000 visitors/month or more. Not only do they allow free job listings, but also you get free resume contacts. On the resume contact side they do have some limitations though, I believe with how many messages you can send for free (5 messages a week, last time I checked). The nice thing about this site is you can see all the resume content (except contact information), before you actually decide to reach out to the candidate. On top of everything their prices are pretty darn reasonable, I know they have a premium membership for something as low as $24.99 which gets you more resume views and promoted job listings to additional job boards. Yes, Craigslist believe it or not (the “resumes” section, bottom right of their site). You can find all sorts of job-seekers that are available for hire. I know what your thinking, its Craigslist. Sometimes there could be a chance of running into something shady. However, thats expected for a high trafficked website, and you can still find good resumes in there from time to time. Also don’t forget to setup resumes-alerts on Craigslist, check out my article here on how to do so. Additionally, you could also find select cities, where you can post jobs for free on Craigslist. 3) Indeed.com: I know it is pretty obvious. However, it is one of the largest resume databases out there and you can view resumes for free (just without the contact info). Now, if you have a company email, and signup with Indeed, I do believe you get your first 100 contacts for free (at least last time I checked). Then after that it’s $1 per resume contact. 4) Google Images: Probably one of my favorite articles that shows you how to find resumes utilizing boolean search tactics in Google Images is right here: Large Free Resume Database Hidden In Plain Sight. The article shows you how to find resumes in all sorts of formats (.pdf, .doc, etc.) utilizing Google, it’s pretty neat. We’ve definitely found some golden nuggets using this method. You can also target passive candidates pretty well using this. 5) Jobvertise: This site has been around for a while, and has all sorts of free resumes listed in US, Canada, and Internationally. Definitely worth checking out. 6) FoodService.com: If you are a member (it’s free) there is a section where you can find food related job-seekers and resumes. The list is only a couple thousand but it does have a good one here and there. I also found a few restaurant resumes at HospitalityJobs.com too. 7) Certainly not my favorite, but https://sourcing.recruiting.com/ is another resource to find resumes. It searches the internet for them, the only thing I dislike is you can’t sort it by date modified so you don’t know how old the resumes are 🙁 …If they had that functionality it would be interesting to see how helpful it could be! It’s also possible this could be a better resource for passive candidates…just a thought. 8) A variety of classifieds site: Backpage and ClassifiedAds.com, all of these can be a hit or miss. Myself and our resume support team have found a few goodies here and there, but mostly they come from when we have posted a classified job ad. But I figured I’d throw them in the loop because they are free. 9) Linkedin: An obvious one, basically the largest ‘resume database’. Another one that’s great, is ZipRecruiter (they have a free trial) which is always a solid option. 10) JobSpider: Some of the resumes may be older, but I’ve noticed time to time, there some ones that are picked up. I believe the side crawls search engines and internets for resumes that are publicly posted. 11) Resume-Library: Another resource that you can utilize. I’m almost certain that you can search for resumes for free but then you do have to pay to contact candidates. See for yourself and let me know! I wanted to mention them because I know they had a large presence in the UK and they’re gaining some traction here in the US. 12) RestaurantZone: Last but certainly not least, I will mention this site! Inside our platform you will be able to search several million fresh resumes in the restaurant/hospitality industry. What’s the best “paid” resume search? I heard CareerBuilder has a solid refresh rate. Anyone have any other recommendations? What does “refresh rate” mean in terms of resume searches? I meant to say the amount of fresh resumes they inject into the database on a daily/weekly basis. I guss it means how many times your resume has been viewed. I have found that http://us.jobs/naswapost.asp is great for local workforce sites, always a lot of candidates. Nice resource Ben, thanks for sharing. I’ll check it out! Thank you, this article is helpful. ^ Nice – thanks for sharing. Good for anyone that hires out of the Philippines then! does anyone knows a website where I can see the applicants’ contacts? I am looking for ESL teachers who intend to teach spoken English in China. researchcareers.com is a Great Site for Clinical/Healthcare/Pharma related job postings and Resumes! I have used http://www.seek.com for international searches and it works well and the cost is reasonable for a posting. I have not tried China but I am sure they have an extension for China. I primarily use Monster and I get pretty good results. Thanks for sharing this great article on this useful job list. Thank you for making this article. Hopefully, I can get potential candidate now for our manpower needs. Which sites are more reliable and effective for the West African workplace? Especially in Nigeria! Kindly Advice. are preferred and have quality resumes in my area. As a new company we do not have the budget to invest in the major job boards to source Nurses. please advice recommend cost effective or free jobs boards one can advertise jobs for nurses. Really good and useful blog for free resumes search. Currently using paid service of monster which works well, but I think indeed, LinkedIn, Craigslist and PostJobFree are good option for free search as I have used all of them on daily basis which also have good quality resumes. Thanks Prashant and thanks for sharing your feedback on what you utilize! Hey Matt, Would you be able to recommend and advise the best job sites or websites where international Graduates i.e ones with Masters in Computer Science can find internships / jobs as they would need H1 job visa sponsorship. We have about 100 international Graduates who’ve graduated in Masters in Computer Science and need assistance with both sponsorship and full time jobs. Thanks for the help in advance. I find that the PostJobFree.com is an excellent option. For $ 29.99 you can upgrade to premium services which is well worth the additional expense. Me conforme con esta ayuda. Thanks for the this. Its has been very useful.